Takeaway: Why safety needs to use a business case for decision making. How to do it, and what needs to be in it. As safety professionals and practitioners, we are extremely adept at certain elements of our business. When it comes to emergency response, planning, investigation, writing procedures and policies, and inspections, there's no one better than us. When we have to step into the Board Room or do some senior executive level work, however, our weaknesses start to show. In particular, no matter how well we know safety, we tend to struggle when we have to make the business case for safety. Most of us have developed and "sold" safety ideas to our companies. We've convinced executives to sign off on programs, equipment, staff positions, and initiatives aimed at developing a safer workplace culture. We supported our requests with a variety of materials that we created ourselves – statistics, costing injury spreadsheets, executive summaries, briefing notes, whitepapers, presentations, surveys. In other words, if you've already prepared all the parts of a business case. But you may not have approached it systematically. What, exactly, is a business case and why does it matter? A business case is a detailed document that describes how a corporate decision or action will affect a company's profitability. A business case, in other words, doesn't just explain why a company should invest in safety, it does so in terms that matter and speak directly to the concerns of owners, senior-level executives, and investors. A business case for safety is all about translating safety to dollars. It's about quarterly earnings, budgets, and returns on investment. It's something that we don't always talk about in the safety industry. After all, we got into this profession to save lives, prevent injuries, and give people the peace of mind they deserve, not to increase profits. And yet, we're embedded in businesses and doing work on their behalf, and profitability is an important function of business. So, we need to become adept at talking about the way safety generates revenue and controls costs. Now we know that creating a systemic and persuasive business case is an important part of the work we do. But how do we go about it? Here's a template to get you started. This section answers questions about why the case is being made. It provides the rationale for presenting the case in the first place. A brief summary, generally one or two pages, providing a high-level overview of the case, the options available, and the impact or effect of the proceeding. This should include a summary of the request, couched in financial terms. The most critical elements need to be included in this summary. A business case is not the place to build suspense: the company executives should know exactly what you're asking and what the company will gain from it even if they never read past these first pages. Although it is the first section of your business case, it should be written last. Try to write it before the rest of the document and you'll probably have to re-write it once you're done. This section details the strategic context of the document, the business needs and desired outcomes of the case. It will include your problem and opportunity statement and lay out the scope of the plan. This section presents your analysis, including your risk evaluation criteria, the options available, the costs, and your recommendations. This section concerns the management of the decision and the implementation of the recommendations. Your business case can be extremely simple, but it has to contain all the information management will need to make a decision. It also has to be tailored to the audience and presented in a style and format that the decision-makers are comfortable with. There's nothing wrong with making the presentation engaging and throwing in some bells and whistles. But the information costing and return on investment are the key features and must remain a focal point of your business case. It doesn't matter how fancy your PowerPoint slides are; if they distract from this central fact, your initiative will be dead in the water. Executives care about making money for the company. That's their jobs. It's what they're held accountable for. But they also care about other things. While the financial aspect of the proposed initiative will be the key feature of the business case, you should also speak to other positive changes: the improved safety of the workers, a better standing in the community and among peers, and safeguarding the company's reputation. Please, put away the legislative hammer when writing your case. I know, when you're detailing the punishments and penalties associated with non-compliance, you feel like you're making a really persuasive case. What really happens, however, is that your business case comes across as condescending. Today's board members and company executives all have a solid understanding of the law, including their obligations around worker safety. They know that if they flout this, they will only end up in one of two places: in court or out of business. Do, however, include a section on the pertinent legislation to ensure your business case’s due diligence. I've heard the phrase "we didn't know what we didn't know" in more than one board room or shareholder meeting. Make sure that the legislative requirements are included in the document so no one can feign ignorance of them. 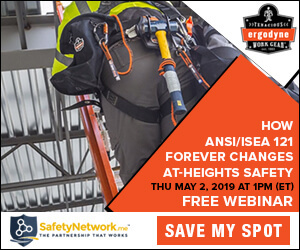 We in safety have always – and sometimes only – used the costs of incident, illness, and injury as the primary financial factor or motivator for safety management system change. We have modeled cost and statistics to demonstrate how loss impacts our business. But we haven't done such a good job at speaking to the positive results of investing in safety management systems, or calculated the returns on that investment. We have called Worker’s Compensation and other insurance costs "overhead" instead of what they really are: business continuity programs. We speak about safety as "soft dollars" spent on programs to influence wellness and behaviors. We placed safety in the realm of Human Resources, where it's about managing outcomes, even though we know it belongs in Operations and as an integral element of all we do. It belongs in Operations because it is a function of profitability and Operations is where the "hard dollars" and profitability are. In your business plan, include the values of an educated workforce and management team – educated not only about safety and health, but how this impacts quality of life, quality of work, return on investment (ROI), and profitability. As a simple example, statistical evidence is available that demonstrates that a workforce trained in first aid reduces both the frequency and severity of incidents both on and off the job. The bottom line? Saves money and provides good ROI. Speak to the dollars saved and earned through the performance improvement in a well-managed safety system. The values of employee and client engagement, family engagement, and of course industry, corporate, and personal leadership. These factors will influence the decision makers in a positive and personal manner. Who helps you do all this? Who helps you write and deliver a business case for safety? Who makes sure you do your fact checking? Everyone wants to do the right thing, and your business case is there to help you do just that by clearly outlining the benefits of doing the right thing. Your business case makes sure everyone gets on the same page, regardless of the reason – profit, protecting workers, controlling costs, increasing business, generating public approval, or all of the above. Remember, when you step into the boardroom, you're there to sell an idea. Your business case is your sales presentation. Knowing how to create and deliver one should be considered a best practice for safety professionals and practitioners. If you can speak the language of profitability, you will better be able to protect workers and save lives.